Dubai Islamic Bank, the largest Islamic bank in the UAE, on Wednesday recorded 11 per cent growth in net profit in 2017, driven by core business growth and effective cost management. DIB said its net profit crossed Dh4.5 billion while total income exceeded the Dh10 billion mark, up by 18 per cent in 2017. "Profitability remains on a robust northbound trajectory driven by core business growth and effective cost management," the bank said in a statement. The bank's net operating revenue increased to Dh7.687 billion, up 14 per cent compared to Dh6.761 billion for 2016. "Efficient and proactive cost management resulted in operating expenses remaining nearly flat at Dh2.336 billion compared to Dh2.297 billion for 2016," the bank said. Mohammed Ibrahim Al Shaibani, director-general of His Highness The Ruler's Court of Dubai and chairman of Dubai Islamic Bank, said the UAE banking system retains its strong financial fundamentals. Al Shaibani said 2017 has been another remarkable year for the bank as it continued to make progress on growth and an expansionary agenda in both local and international markets. "The bank has weathered the challenges across the region as well as those emanating from the global economic slowdown extremely well and with a more positive outlook forecasted for the UAE and global economy, the coming years look even more promising. We remain fully in sync with Dubai and the UAE's plans in building a diversified and attractive economic hub for Islamic finance that serves to connect the globe from our home base here," said Al Shaibani. DIB managing director Abdulla Al Hamli said the UAE continues to be one of the leading Islamic finance markets, with assets now reaching around $150 billion, a seven per cent growth this year. "We remain well-positioned to capitalise on improving economic conditions in the UAE, where GDP is expected to increase in 2018 in the run-up towards major economic events such as the Expo 2020," said Al Hamli. The bank's CEO Dr Adnan Chilwan said a double-digit rise of 11 per cent in profitability is a clear indication of the focus on quality growth and this will remain a critical objective going into 2018 as well. "Nearly a decade ago, we established our plans to bring the company out from the effects of the global economic meltdown and back on track. As the incredible growth story of DIB unfolded, so did the challenges of oil prices and economic slowdown. But these have only made us stronger, more resilient and even more focused than ever before," said Chilwan. 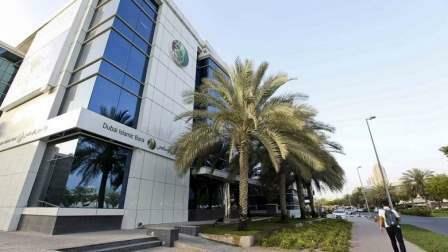 Chilwan said DIB plans to raise capital this year to help support an expected double-digit rise in loan growth. "The bank is considering options including a rights issue and an issue of Islamic bonds, but any final decision on its plans will be subject to regulatory approvals," he said on a conference call. In an investor presentation, the bank said it was targeting loan growth of between 10 and 15 per cent in 2018, the same target it set for 2017. He said the evolution in the last four years has seen a complete transformation in size and business with the balance sheet as well as related key metrics of financing and deposits nearly doubling or more during the period.